In any discussion of the best all-round BMW, the E39 M5 is more than likely to warrant a mention sooner rather than later. Launched in October 1998 following its debut at the Geneva show the previous March, this 400hp V8-powered saloon instantly garnered rave reviews in the press, followed by equally enthusiastic testimonials from owners. At its heart is the S62 4.9-litre V8 engine, which is normally aspirated and attached to a six-speed manual gearbox. Extensively modified by BMW's M Division, the engine has a higher compression ratio, double Vanos variable valve timing, individual throttle bodies for each cylinder and a dual air induction system. That was enough to see the E39 M5 from 0-62mph in 5.3 seconds and on to an electronically capped top speed of 155mph. 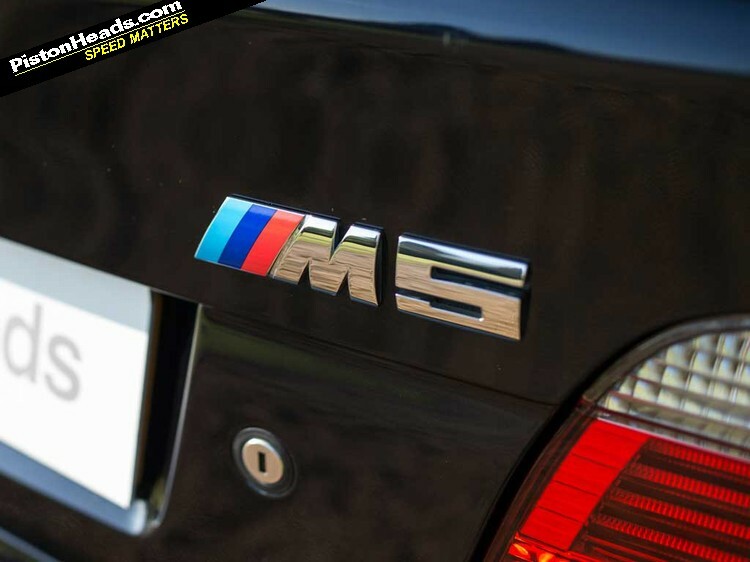 While performance is a key element of any M car, handling is just as vital to its make-up. BMW didn't mess with the fundamental layout of the E39 5 Series' suspension for the M5, but it did receive stronger mounts, bushes and wheel bearings, as well as unique spring rates and a lower ride height. Other identifying features included the 18-inch Shadow Chrome alloy wheels, four exhaust tailpipes and a small lip spoiler on the boot. A facelift in September 2000 that introduced headlights with a corona ring, revised rear lights, front parking sensors, Alcantara headlining and grey-faced main dials. As a four-door, five-seat saloon with a large boot and the possibility of reasonable economy, if driven sensibly enough on longer trips, the E39 M5 has remained a popular choice for those seeking a family-friendly machine. Burgeoning classic status is also helping to bolster prices of the best examples and you can expect to pay as much as £30,000 for the very best. 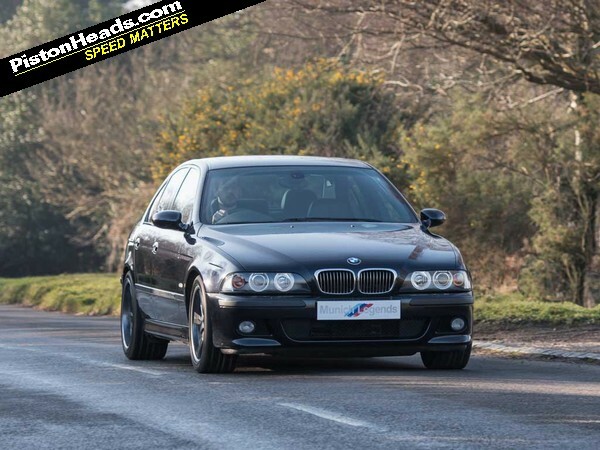 Don't despair, there are plenty of E39 M5s out there at much more affordable prices, though cars pitched at £6,000 or even less need to be approached with a great deal of caution. 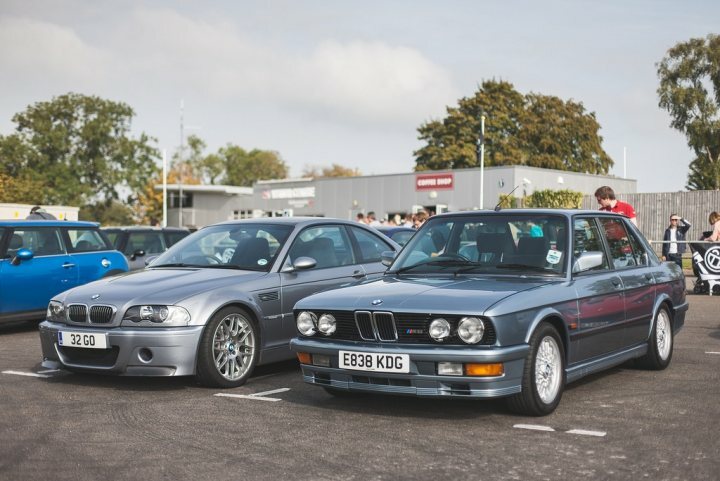 You will also need to keep a fighting fund of £2,000 to £3,000 per year to keep an E39 M5 in top condition as these cars need continual, and expensive, care. 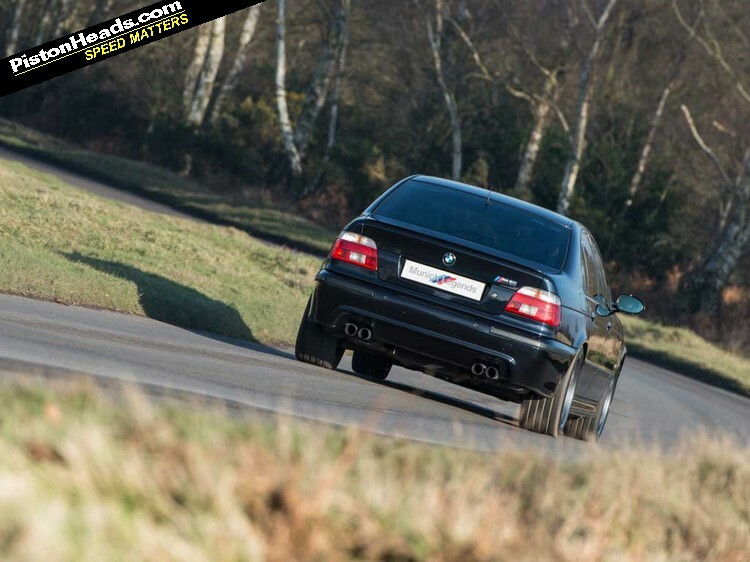 "My E39 M5 was a hugely enjoyable car. It handled well and the performance was exhilarating. Its best trick was as being able to shrink around you when you were pressing on, giving the feeling of being a much smaller, lighter car." [Thanks to Munich Legends, Ashdown Park Hotel and Bramley Cars for their help with this feature. Pics by Tom Begley]. Perfect all-rounder with a bit of performance. I wish they had done a production Touring version, as I'm sure I would have had one instead of my current RS4 Avant, albeit it would be a few years older. I'm not a fan of the looks of the E60 version (Touring is better though), so putting aside the very latest model I think the E39 probably is the best of them all for regular use, and the E28 as a useable and practical appreciating classic. Wow, didn't know some are fetching up to 30k. I have such thing for this M5, Mr Roy is to blame for it to be honest, currently reading his book at the moment too. If I could afford to run one I would in a heartbeat, one of the best looking BMWs IMO.